Manchester City v Chelsea - You ALL know if anyone can beat them it's Chelsea! What is going on? Why am I reading quite literally everywhere that Chelsea need to "park the Bus" at the Etihad tonight!? Surely anyone who follows the Premier League knows deep down that if there is anyone that can beat Man City in their own backyard it's Chelsea! Yes I am biased! Yes I maybe somewhat blinkered but there are so many things that people need to consider before we reach a result tonight rather than just discount Chelsea like they have! No one can deny the attacking potency that Man City have, that is without question. No one can deny they have plenty of big name players, game changers and Chelsea will need to be at their best tonight to deal with the threat they all pose. Chelsea are a well drilled machine at the back. We know how to defend a lead and how to remain disciplined and organised. In John Terry and Gary Cahill, City face two old-school defenders and the likes of Dzeko and Negredo will both know they have been in a game at the end of this one. However, what about Chelsea? What about the threat WE pose? How about wondering whether or not Man City as a team and a defensive unit can cope with Chelsea's creative players. Why on earth should all the focus be on City this, City that and the amount of goals they have scored this season? Will City's two holding midfielders remain defensively disciplined enough to sit deep and help out their back four to try and cope with Eden Hazard, Oscar and Willian? I firmly believe that Chelsea can punish City out wide on both sides. Think how our wide players work hard without the ball, compare that City's wide men and I don't see the same work rate. If we can expose this area all night long we can win this game without question! A key battle tonight will be Hazard up against Zabaleta. If Eden can get on top in the early stages of this one, we could really cause them a problem down that side. Hazard's pace will cause City problems and it will be interesting to see how they decide to deal with him. Oscar will look to pull the strings, open the game up and drop into that hole between Kompany and Yaya Toure. Who will pick him up? Will they change their tactics? Will they have to adapt their shape? Willian going up against Clichy or Kolarov is another intriguing battle. Clichy looks like getting the nod based on pace alone. Kolarov offers City plenty going forward but in my eyes is not the best defender by any stretch of the imagination! If Willian on the right hand side can get on top of his marker he could also provide Chelsea with plenty. Does that mean that Kompany will get sucked out wide on the cover either side at times and open up space in the middle? Let's just wait and see! There is one important player I want to talk about who could have a MASSIVE influence on the game and Chelsea's future and that is Mohamed Salah and his pace! Salah is lightening quick and no matter what side he plays, he WILL cause anyone problems. I wouldn't be surprised if Chelsea remain tight and compact and look to hit City on the counter attack. If that's the case, expect Salah to be introduced in the second half and turn this game into Chelsea's favour. All it takes in games like these is a single ball over the top or one single killer pass and it's game over! Another important factor in games such as these is the Manager. Jose Mourinho up against Manuel Pellegrini. Who comes out on top? The man who has quite literally been there, seen it, done it and won it all up against Pellegrini? 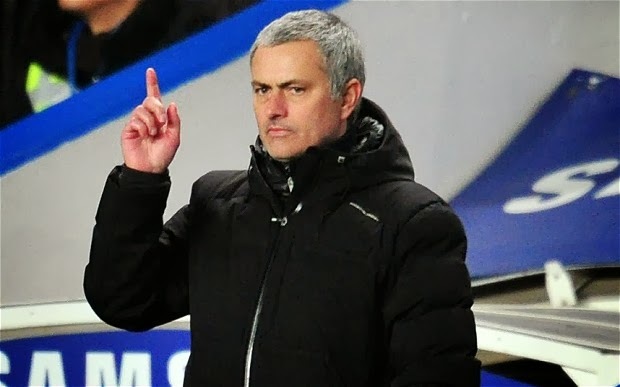 Jose Mourinho has played down Chelsea's chances of winning the league title THIS season but I am not so sure. Look at our record against what has been perceived as our title rivals this season so far. Draws away at Arsenal, Tottenham and Man United. Home wins against City, United and Liverpool. In recent weeks Mourinho has demonstrated just how flexible our formation can be. Whether it's a 4-2-3-1 formation, a switch to 4-3-3 or even 4-4-2, the manager can call upon changes during the game or from the bench to swing the game back into his favour. I'm sorry but I do not think that City are that flexible. They haven't needed to be so far but what happens when they need to be for once? Some of you are reading this and are thinking that I am talking out of my arse or something. I can assure you I am 100% positive about tonight and cannot see us losing the game. If that means we take a point then so be it. However, I believe that Pellegrini and his team although confident in their own ability, are more than concerned about our team tonight. Man City, their fans and the rest of the Premier League approach this game tonight knowing that if there is anyone that can take them on in the backyard it's Chelsea! 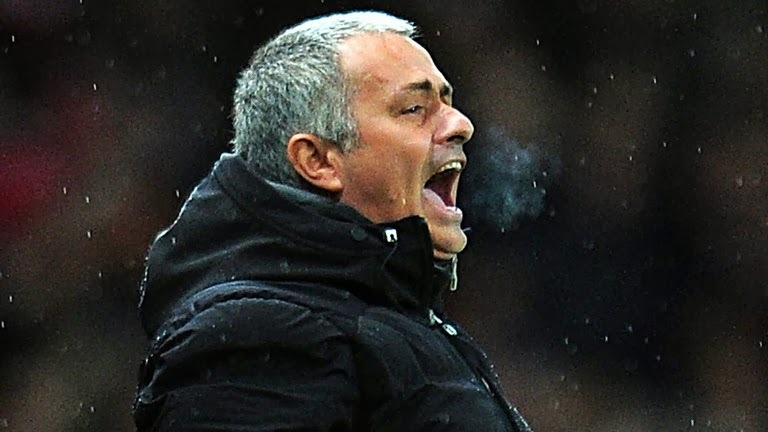 Come on Chelsea, Come on Jose Mourinho, give us three points! !